I spotted this scene on a small stump in my front yard. At the time I didn’t know what they were. After a bit of research, I determined they were tube-tailed thrips from the family Phlaeothripidae. I assume there are so many because they’ve found a good food source, fungus perhaps. 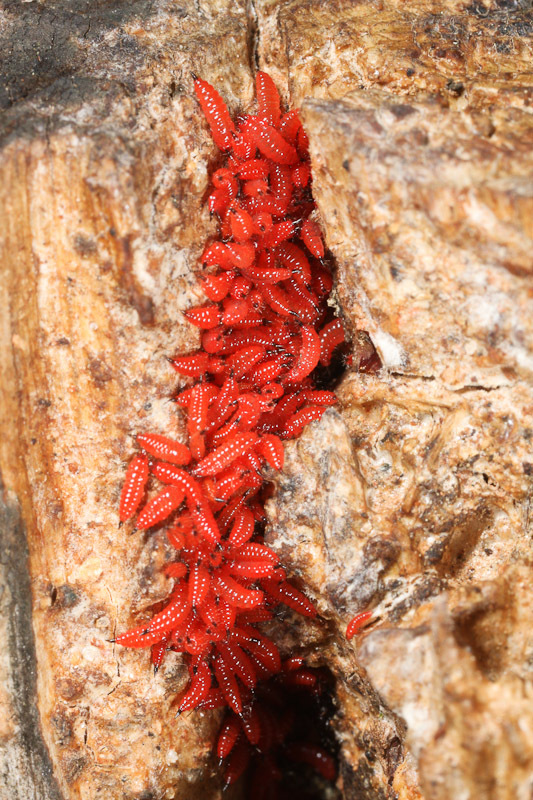 I’m curious as to why the larvae are orange-ish red. 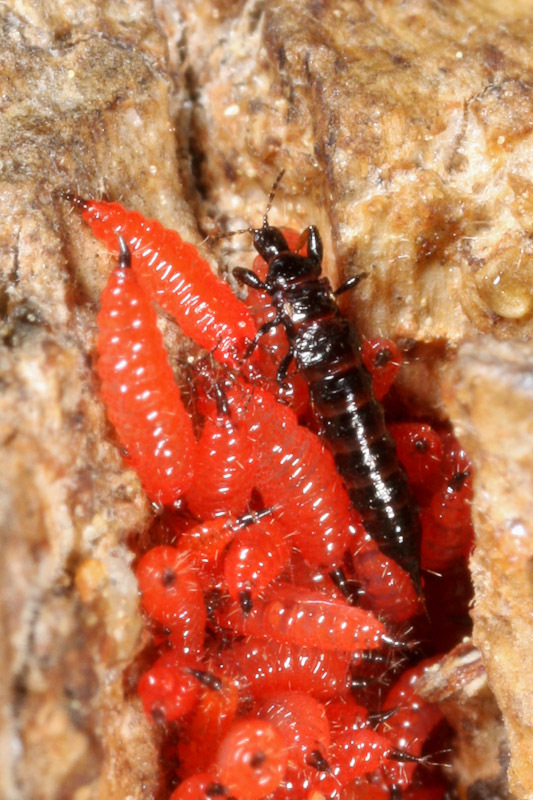 Occasionally I’d see a black adult like the one below, which definitely contrasts with the color of the larvae.